Open All Year... The Marina Alimos Hotel Apartments is located on the southern coast of Athens about 10 km from the City Center, on the coast road from Piraeus to Sounion. The Hotel is overlooking the Alimos Marina. 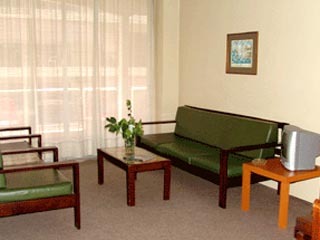 24-hour Reception, staffed with Multi-lingual Personnel. Shopping Center across the street: Drug Sstore, Laundry and Dry Cleaning, Super Market, Bakery. Tavernas, Discos and Clubs nearby. 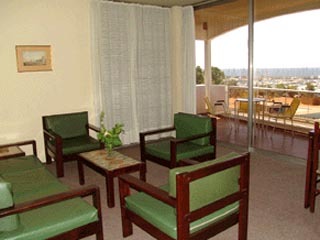 The Hotel comprises 30 furnished Apartments. 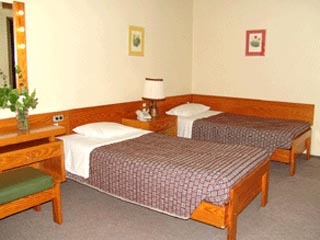 Four different types of Apartments can accommodate 1 - 5 persons with additional Beds and Baby Cots upon request. 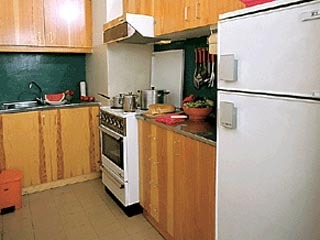 All the Apartments have one or two Twin-bedded Rooms, Kitchen with Stone Refrigerators and full cooking equipment, Bathroom, Air Conditioning, Heating and a large Balcony with direct or side View of the Sea (there is no rear looking Apartment). The guests who are in Greece on business might work and meet their commitments, clients and friends, in their own Apartment. 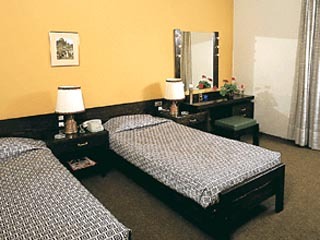 For longer stays, one of the Bedrooms can be converted into a Studio. 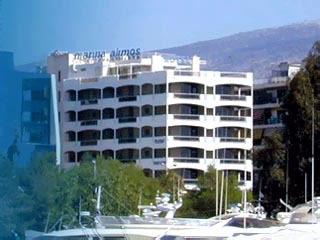 The Marina Alimos Hotel Apartments is located on the southern coast of Athens about 10 km from the City Center, on the coast road from Piraeus to Sounion. The Hotel is overlooking the Alimos Marina. Alimos is a suburb of Athens by the Saronic Gulf, with sandy Beaches, yacht basins and Water Sports. It combines Athens's vivid life, business activities and the pleasures of suburban living.